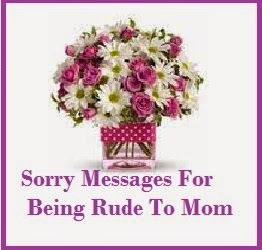 When your unintentional rudeness causes grief then sending sorry messages can bring you relief. When hurting the other person hurts you even more, then saying sorry takes a cathartic turn. 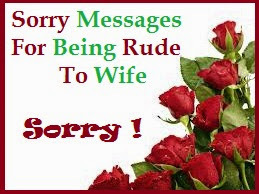 So if you have been rude to your loved ones saying sorry is a must. 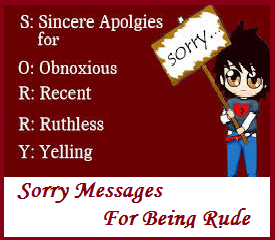 Read on to find the perfect sorry messages for being rude. I realized that my words can be really foul. I ought to choose my words carefully. I realize my mistake and am sorry for my behavior. Hurting you is the last thing on my mind. I am sorry for being so rude. 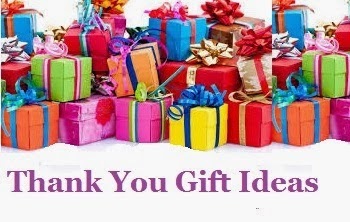 I am sorry that I didn’t extend you the courtesy that I normally do not falter in. It was unintentional. I apologise for my behavior. I know that you think I’m uncouth. But I was just giving my honest opinion. I didn’t realize that I was hurting you. There’s a way to say things and I was brusque. I am really sorry. I think I was straightforward to the point of being offensive. But if I can be straightforward about my opinion then I can be straightforward about my apology too. I am truly sorry. I am so sorry for shouting at you. I didn’t mean it. I can’t even dream of being disrespectful to you. I guess it was all said in the heat of the moment. We were arguing and I felt that you weren’t ready to listen to my point of view. I guess it really made me lose my cool. I am sorry. I wish I could just go back in time and completely erase all that I ever said. All this trouble I put you in is only due to my stupid ego. What a mindless, thoughtless person I am to be so rude to such a kind-hearted and loving friend. I can never forgive myself for hurting you. You were so right about my bottling up my feelings. When my emotions gushed out all of a sudden, they did more harm than good. Please don’t be mad at me. I realize that you were so right and I was so wrong about keeping things to myself. 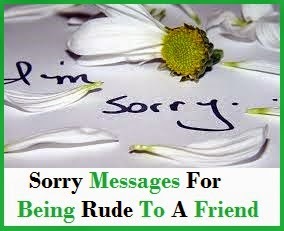 I am truly sorry for being so rude to my dearest friend. I am so sorry for behaving like a spoilt kid. The things I said were simply ridiculous. Now that I think of it all, I say to myself “How could I do this?” I was rude and impolite. I am sorry. I am sorry for saying horrible things while arguing. You are right about my being insensitive to others’ feelings. All I wanted was to get to know you better. And it seems I have pushed you away. No amount of excuses can make up for my miserable behavior. Can you forgive me for messing it all up? Why is it that in my heart I love you so much but when it comes to speaking I need to use gallons of mouthwash? I really need to rinse my rudeness out of my mouth. Will you help me? And I’m just trying to be funny so that you can smile and forgive me. Deep down I really want you to forgive me. Friends are the few individuals in our lives who we can say anything to. Sometimes we unintentionally treat them in a rude manner. Even the closest friends get hurt and this offense call for an apology. 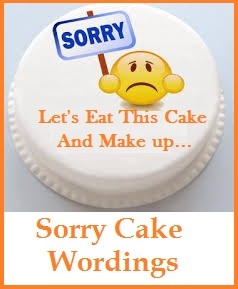 Here are some apology messages you can use when you are at a loss for words. 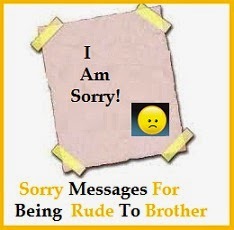 Read on to find the heartfelt sorry mesage for being rude to your friend. 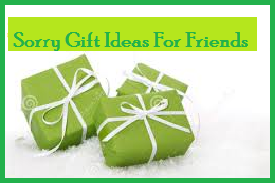 Also send a sorry gift for your friend along with a heartfelt sorry message. I am sorry for my terrible behavior. You did not deserve the rudeness I showed you. I felt terrible when I realized that I have hurt you with those thoughtless words and actions. The stressful incidents these past days created a monster in me that I was not able to control I value our friendship so much and I do not wish to ruin it because of my rudeness. Please forgive me. I’ll see to it that it does not happen again. I thought it would make things better; but my actions made things worse. It was uncalled for. What I did was rude and offensive. I am sorry for that. Could we start again and talk this over? You can scold me like a little child for my bad behavior. Coffee and cake are on me. After reading my messages to you, I realized that I may have offended you with my choice of words. How insensitive of me to hurtle words without considering your feelings. It was never my intention to disrespect you. I am truly sorry and I will try my best to be more constructive but still be honest and sincere without being hurtful the next time we talk. Freedom of expression has its limits. I have gone beyond the boundaries to the point of being rude. It was a terrible mistake I did. I never intended to hurt your feelings or trample on your opinions. I am sorry. Please allow me to make up for my mistakes. Would you care to come for barbecue this weekend? I’m cooking. Anger has blinded me and I failed to look at things from your perspective. I am sorry for my rude words. It is painful to live everyday with this misunderstanding. I’ve learned my lesson. The silence between us is killing me. I got the message and I learned my mistake. My rudeness has hurt you and I am so very sorry. I was a jerk and you did not deserve my actions. I will remain your friend and if you need me I will be here. Please forgive me. 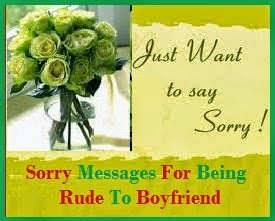 I am sorry if acted rude in front of your company last night. I was a total jerk by doing so. In truth, I was jealous of your new friends. Realizing fully well that we all need to expand our horizons, and that includes letting new friends into our lives, I am trying to be a better person myself. I hope you will forgive me. We’ve been through good times and bad. You understood me when no one else did. Yesterday, I was not acting the way I should. It was rude of me to walk out on you when we were trying to discuss matters. I am so sorry. This could have been settled peacefully if not for my selfish attitude. Please forgive me. Let’s talk this over beer and chips, shall we? It was my fault why we are arguing most of the time. My rude behavior has created so much tension between us now. I am deeply sorry. Our friendship is more important than anything else and I will do my best to change my attitude for the better. I hope you give me another chance. Let’s continue to be friends. I acted strange yesterday. It was rude of me to barge in and just do what I wanted without considering your presence. I was in a hurry and acted in a disrespectful manner. I am sorry. It won’t happen again. They say time will heal wounds. What I did was hurt you deep with my rude words. I am sorry. What an ungrateful monster I have been. I will not do that again. A friend as precious as you do not deserve it. Please forgive me. I broke your heart. What a fool I have been to do so. I am so sorry. Please allow me to make it up to you. I will not allow our friendship to end because of this silly rude mistake I did. I hope you forgive me. You were rude; but I was rude, too. Instead of making peace, we hurt each other with words and actions. I could not stand this silent war between us any longer. I value our friendship too much to let anger rule. I am sorry for my actions. Can we be friends again? 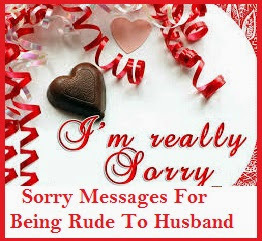 I am sorry for not responding to your messages. That was rude of me to do to a loyal friend like you. I have been through a very dark time these past days. I realized how lucky I am that I still have you as a friend. Please forgive me. Can we talk today? Please? 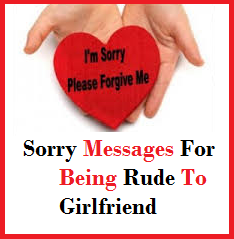 I am sorry for my rude behavior. I understand if you still do not wish to talk to me. I just want to let you know that I will always be here waiting for you when you are ready. Please forgive me.